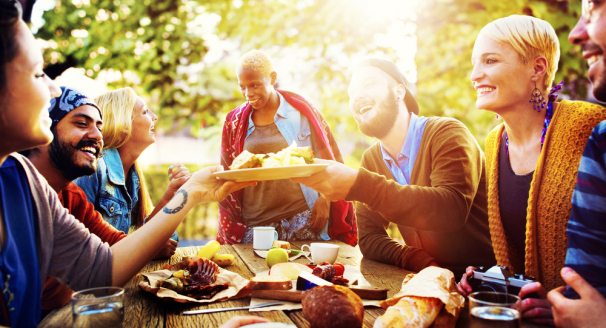 There’s the saying that one person’s trash is another one’s treasure, and we completely agree with this statement. 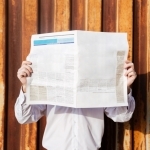 There are many items which we all throw out that can be upcycled and repurposed into something new. 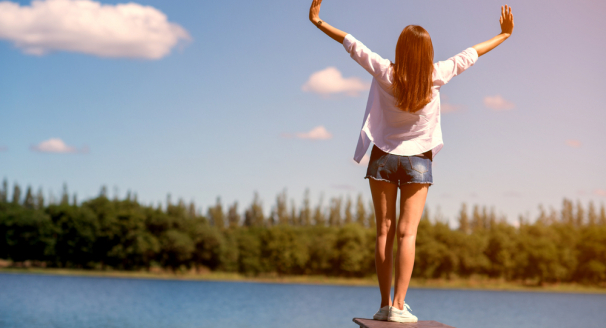 So before you put that cardboard box or magazine in the trash can, here are 15 ways you can give new purpose to garbage-bound items. 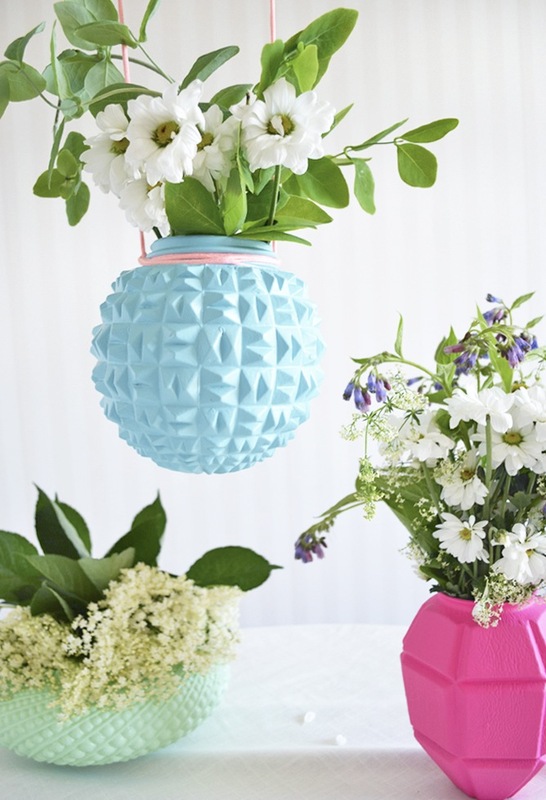 Paint your old glass lampshades with pretty shades of color to transform them into beautiful vases. Spray paint provides a more even surface covering compared to regular acrylic paint, but either form of paint will work. Afterwards you can seal the color with a clear acrylic coat, but be aware that the paint can still chip. 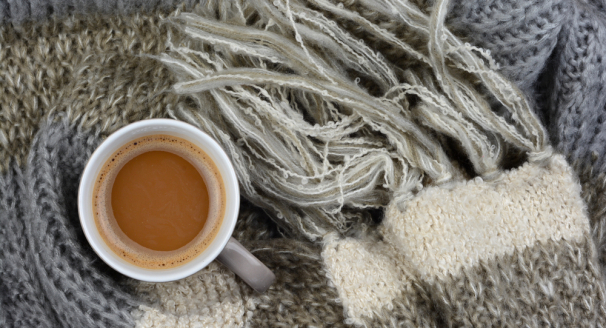 If you're a big coffee drinker, you probably go through several coffee cans a month. Instead of throwing them out, did you know you can make really cute planters out of them? 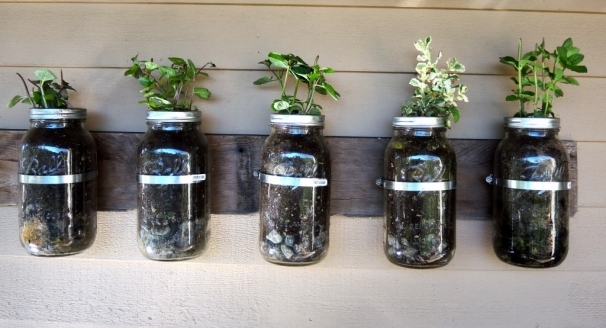 To start turning them into planters, remove the labels from them and spray paint the cans any color you want. Drill holes near the top of the cans so you can loop rope through it to make a handle. 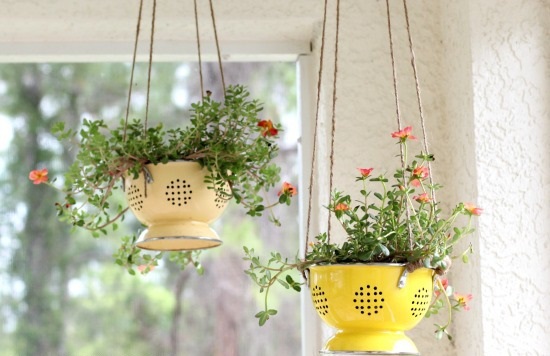 Then decorate your cans with rope and other decorative items before placing your plants inside and hanging them up. Save your pasta and pickle jars and turn them into fancy apothecary style containers. Scrub them well to remove the labels and any leftover residue, then glue pretty scrapbook paper round the glass. Spray paint the lids and once they're dry, glue on pretty curio knobs. Then all that's left to do is storing your bits and pieces inside. 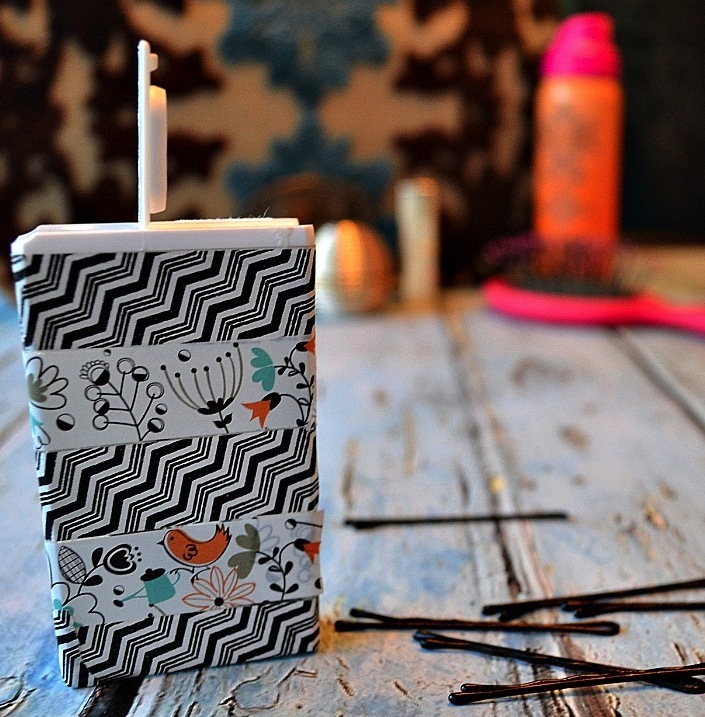 Once you've freshened your breath, repurpose your mint box into a handy bobby pin holder. This is really easy to make as all you need to do is decorate your box with washi tape. Then just flip open the top and store your bobby pins inside. How simple is that? When your cake pans are no longer pristine, turn them into a pretty tiered display for your home. Attach the top two pans together with candlesticks that have been cut to size, and then glue wood coins together to attach the base pan. 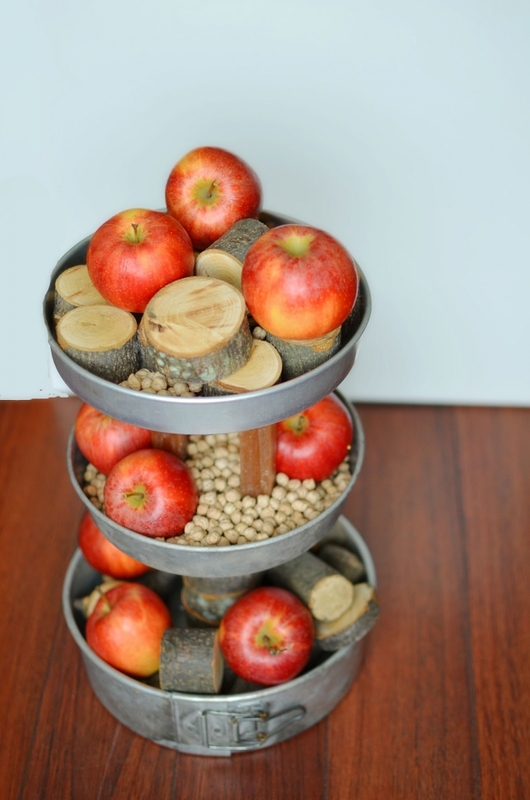 After the tower has fully dried, pour chickpeas and wood coins into the pans, and place any produce you want on top, such as apples or cupcakes. Create striking floral wall art out of just soda cans and wire hangers. Cut off the top of a can and then cut down the side of it to open it into an aluminium sheet. Draw flowers and leaves onto the sheet and cut them out before painting them white and gold. 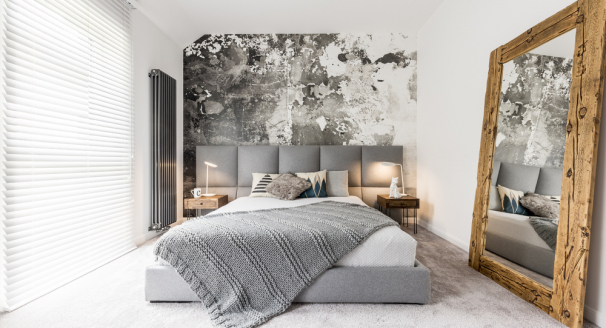 Use wire hangers to attach the aluminium pieces together, and then glue them onto a blank white canvas, so you can proudly display your creation on the wall. If you have a vacuum hose past its prime, you can easily turn it into the base of a beautiful pine cone wreath. Take a trip to your local woods to source a large amount of pine cones, or if this isn't possible, visit a dollar store and buy them. Glue your vacuum hose together to create your base, then glue the pine cones onto it. 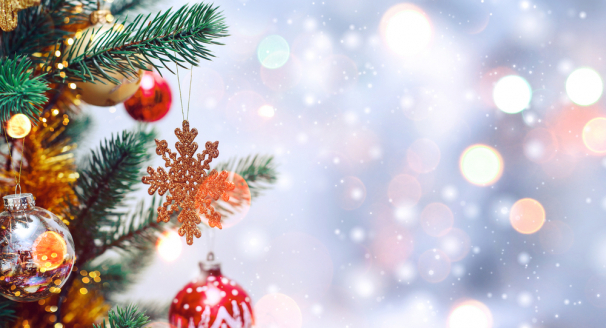 Once it's dry, create a hanger out of a wire coat hanger and glue it to the back of the wreath. 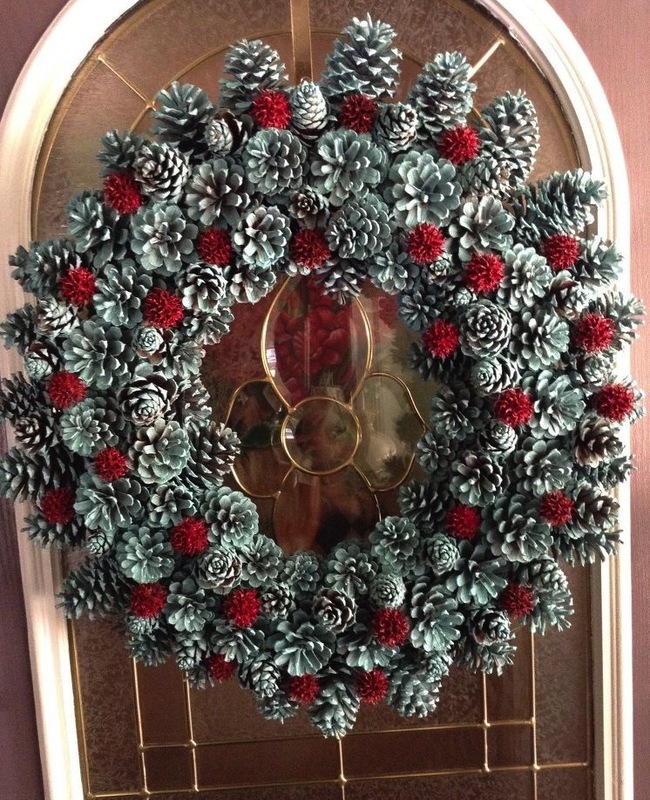 You can keep the natural look of the pinecones, or if you want to add a bit of color, spray paint them before hanging the wreath up. Upcycle a worn out knife block into a useful thread organizer. Fill the slots with wood filler and then drill holes into the block so you can fit skewers into them. Place a couple of drops of wood glue into each hole before placing the skewers inside, so they fit in tightly. Spray paint the block in your choice of color, and then start placing your threads onto the skewers once it's dry. 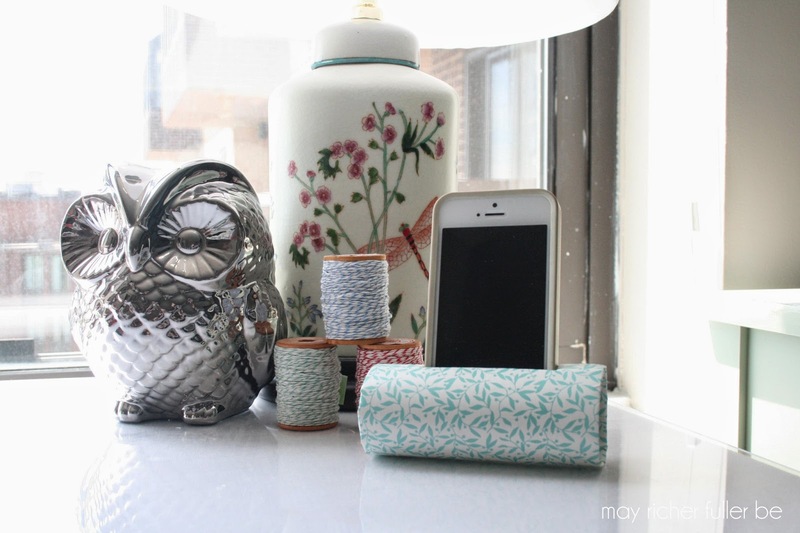 After recovering from a cold, upcycle your empty tissue box into a pretty storer for all your craft supplies. Cut the top off your tissue box to create a handy storage box, and then glue craft paper round the outside of it. The craft paper can be any color you want and you can draw and color on it beforehand to create a fun design. Finally, place enough empty toilet rolls stood up inside the box until they are snugly fit in. 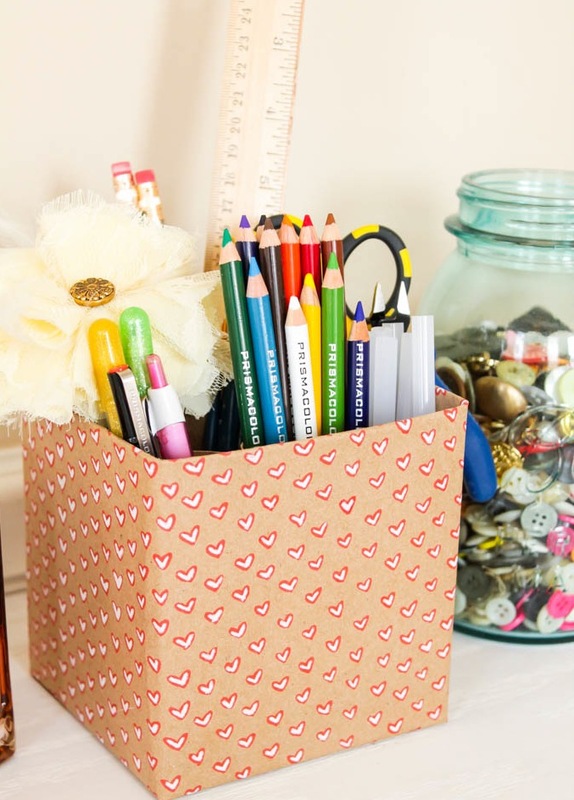 This will ensure your craft supplies don't move around when you place them inside. 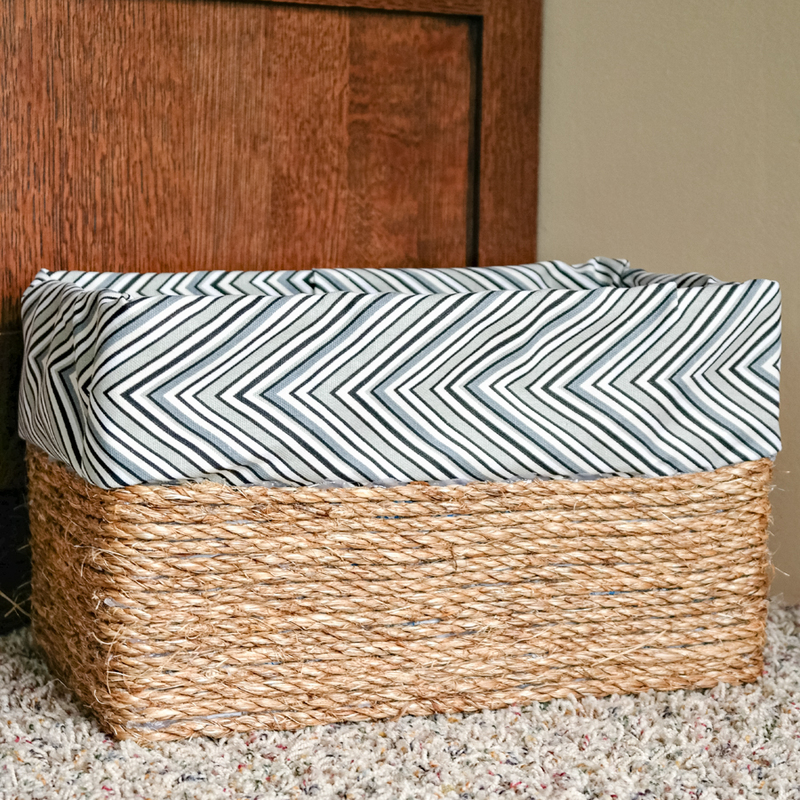 Turn an ordinary cardboard box into a pretty storage basket, that looks just like the ones you can buy in a store. Make sure you use a sturdy box, and if it has flaps on it, you need to cut these off. Then starting from the bottom, hot glue rope or twine around two thirds of your box, before gluing a piece of fabric to go around the top third of it. You can line the inside of the box if you want to fully cover up the cardboard, however, anyone looking at the exterior would be fooled into thinking that your box is a luxury basket. You probably download or stream your music rather than buying a physical copy, but that doesn't mean you can't put your old CDs to use. 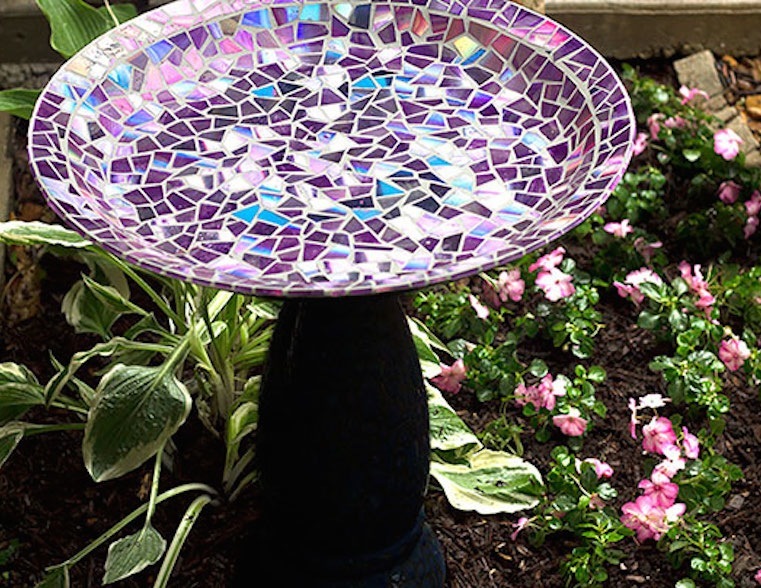 Give your birdbath a makeover by cutting your CDs into small pieces and gluing them to the top of the bath. 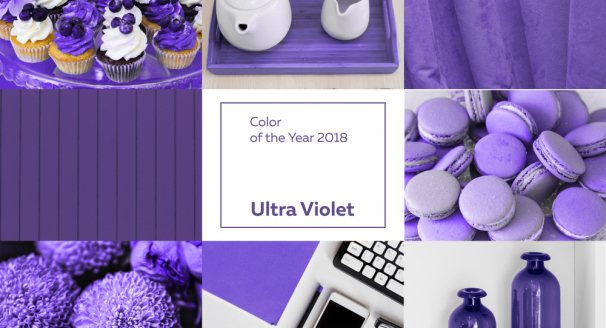 This is a time consuming DIY project, but you will be delighted by the range of colors it produces as the sunlight bounces off the CDs. 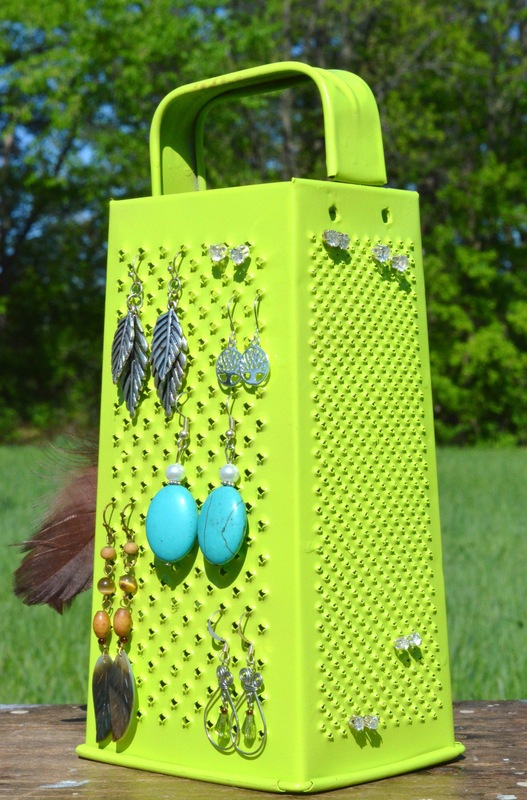 Turn an old cheese grater into a stylish jewelry holder for all your earrings. This is really simple to create and you won't have to worry about losing an earring ever again. Wash your grater with soap and water and let it dry before spray painting it with a fun color. After it has dried, hang all of your jewelery on it and marvel at how cool your new jewelry stand looks. Use a clothes hanger to hold your recipe cards so you don't risk spilling anything on them when in the kitchen. A wooden pants hanger is ideal for holding recipes and can be either painted or left how it is, if you want to keep the wooden look. 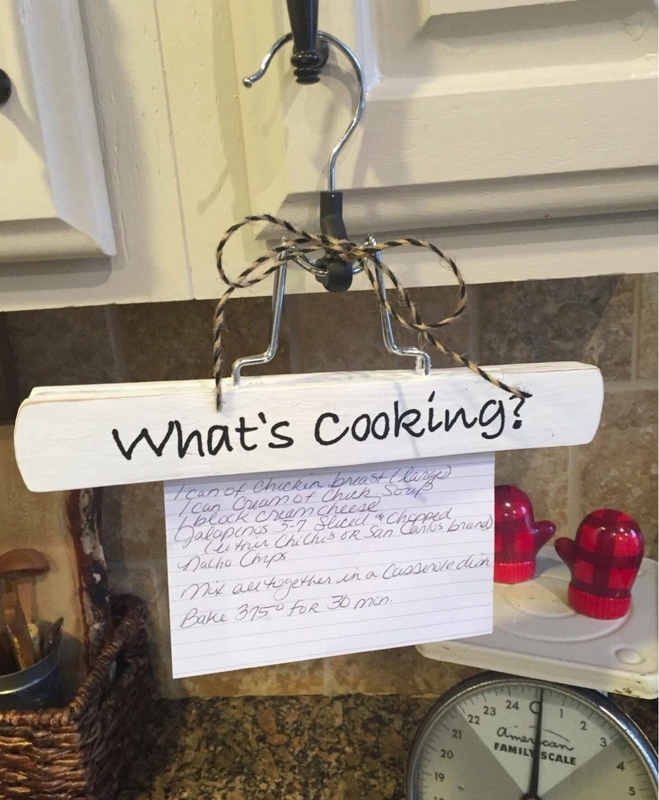 Paint a message on the hanger such as 'What's Cooking?' or 'Recipe' and wait for it to dry. Then simply hang it on a cupboard door and clip your recipe in place. 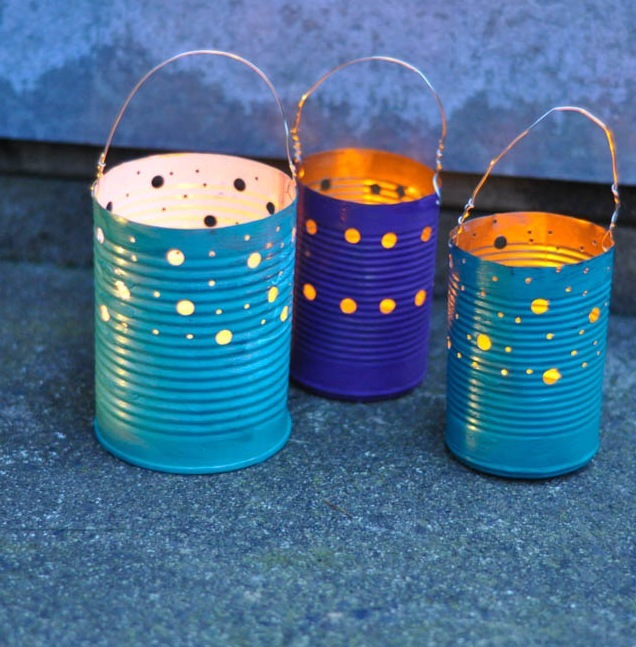 Keep your tin cans and wash them out so you can upcycle them into pretty patio luminaries. 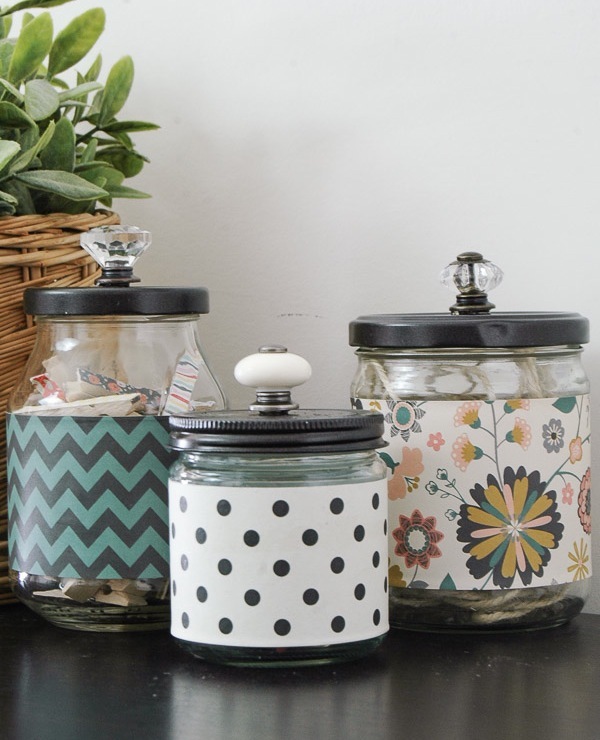 Paint the cans in your choice of colors and then punch holes into them to make a pretty polka dot design. The holes will let a lot of light out of the tin cans which will create a warm soft glow. If you would like to hang them up, thread wire through holes on the sides of the cans and wrap the wire around itself to secure it in place. After you have finished reading a magazine, take advantage of its bright colors and turn it into fun coasters. 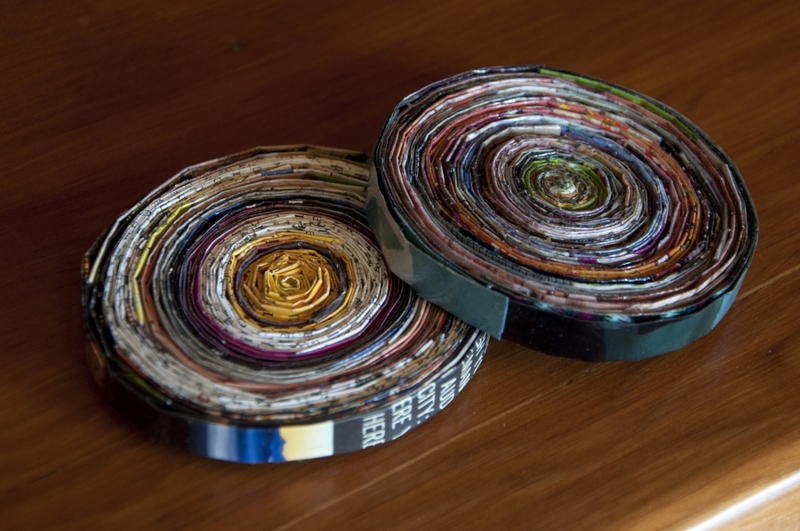 Cut the magazine up into strips and apply glue to them, so when you roll them around themselves, the strips stick together. Wrap the strips round until the coaster is at the size you desire, and then wait for it to dry before placing your cup or mug on top. Plastic bags can too easily gather in your house if you regularly need to get new ones at the grocery store. 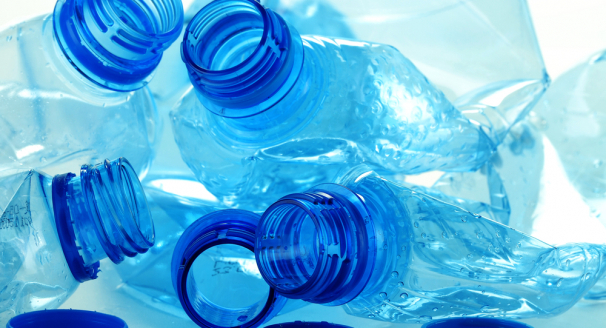 Of course, you could just reuse them during later trips to the store - but that ignores the problem that they can easily split when handled. Thankfully, it doesn't matter if they are split, should you decide to insert them inside pillows to fatten them. 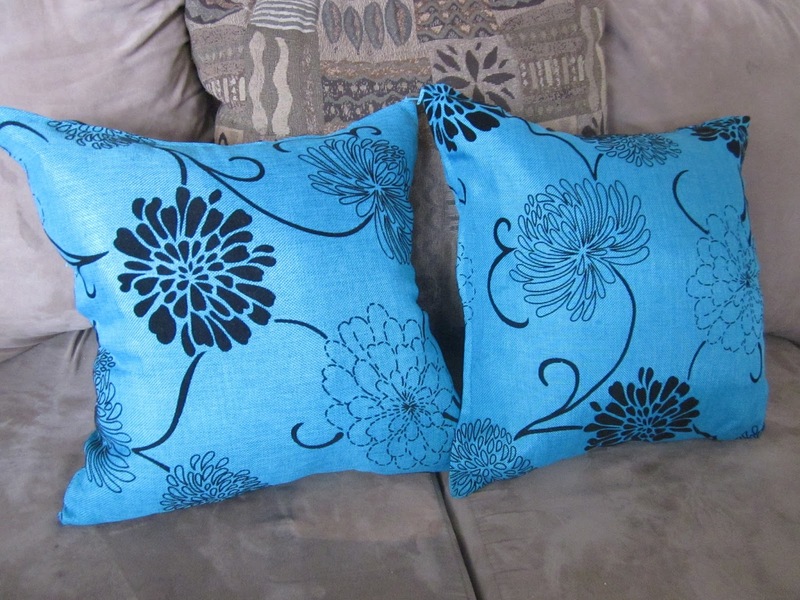 Pillows containing plastic bags can be hard to distinguish from more typical pillows. You could be irritated if you finish cooking and there remain smells like garlic and onion. However, if you also regularly brew coffee using a filter, you can put the used grounds towards banishing those smells. 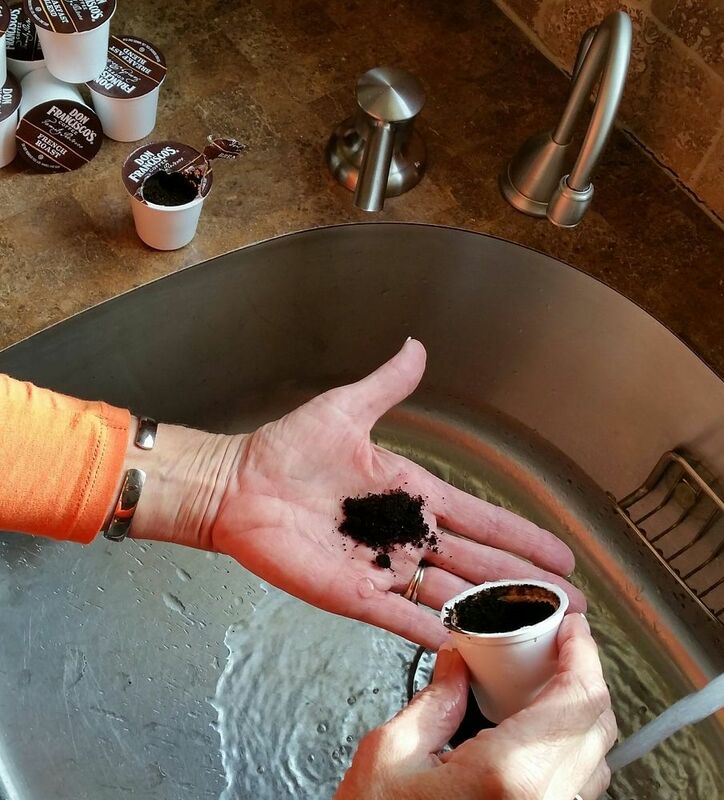 Rub the grounds over your hands - you don't need any soap - and then use plain water to rinse your hands. 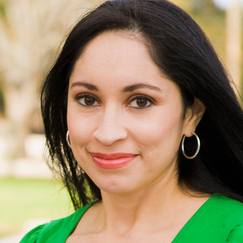 Yes, it's an incredibly simple procedure and will leave your hands very smooth. 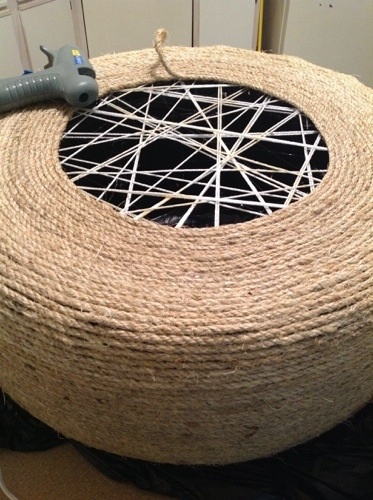 With 400 feet of sisal rope, an old tire, contact cement, nylon rope, hammer, nails and a glue gun, you can make an ottoman. The full tutorial has been posted by TheDIYShow.com, which explains that you start by painting the cement on the tire, around which you then wrap rope. As for the tire's opening at the top, you put webbing over that with nylon rope and then use this to support sisal rope placed across the opening. First, in the roll's center, cut out a rectangle slightly larger than the phone's speaker end width. Then, wrap some scrapbook paper around the tool, secure it using glue or tape, and put a rectangle-shaped hole into the paper where it covers the same shape hole that is already in the roll. You then simply need to attach a couple of pushpins to the roll's backside to ensure the speaker stays properly stood up when your phone is inserted. 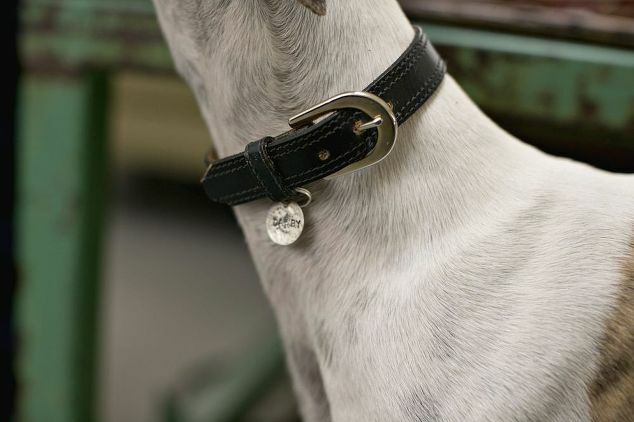 If you have a dog, you can give it a collar that looks high-end despite having actually been fashioned from an old belt that you might have bought cheaply. Other than the belt, all that you need is a pair of scissors. Cut down the belt to ensure it fits nicely around your dog's neck, wrap the trimmed belt around it, and secure everything with the buckle. 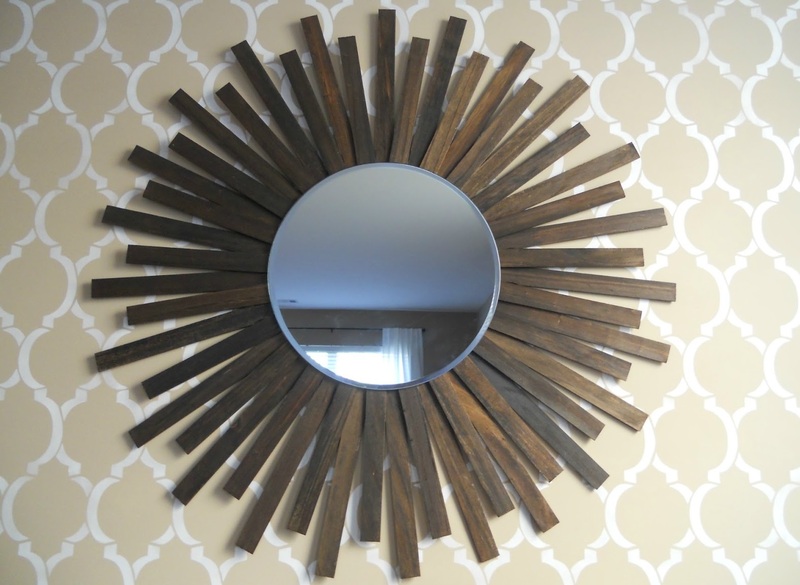 Do you want a mirror with a sunburst design? 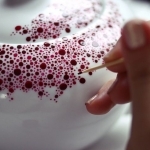 You might be able to easily make one if you already have paint sticks at hand. 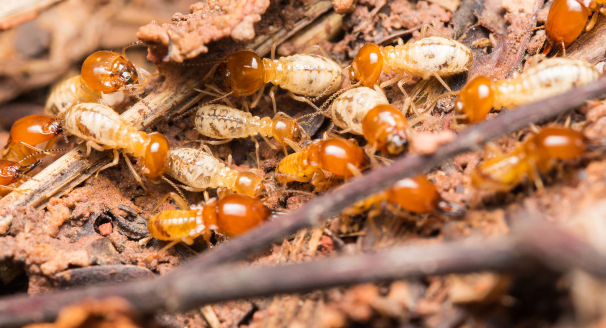 You might have picked up many of these at the hardware store - and you can now attach them to the back of a mirror, securing them with gorilla glue left in tiny dots. Before attaching those sticks, however, you do have the option of staining them as well. You might have colanders that you typically use for straining water from pasta or fruit when making it. However, if you ever stop eating the kind of food for which these perforated bowls are necessary, you can still use them by turning them into hanging flower pots. Simply put landscaping cloth on the inside of each vessel before tying rope to the colanders' handles. 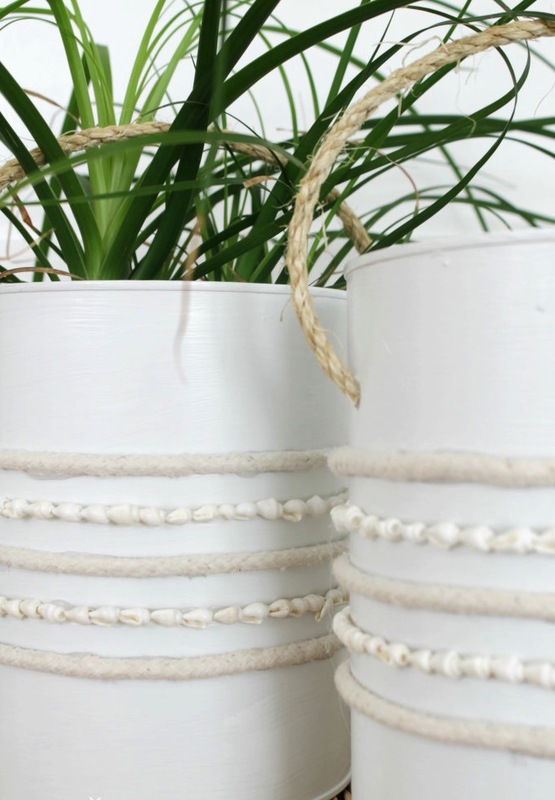 Hanging up these planters can provide a great rustic look. Shoes can too easily gather in an untidy heap if you don't dedicate any special spaces in which to keep them. Creating such spaces without taking up extra floor space can be surprisingly straightforward when you make suspended cubbies from wooden crates that used to contain apples. 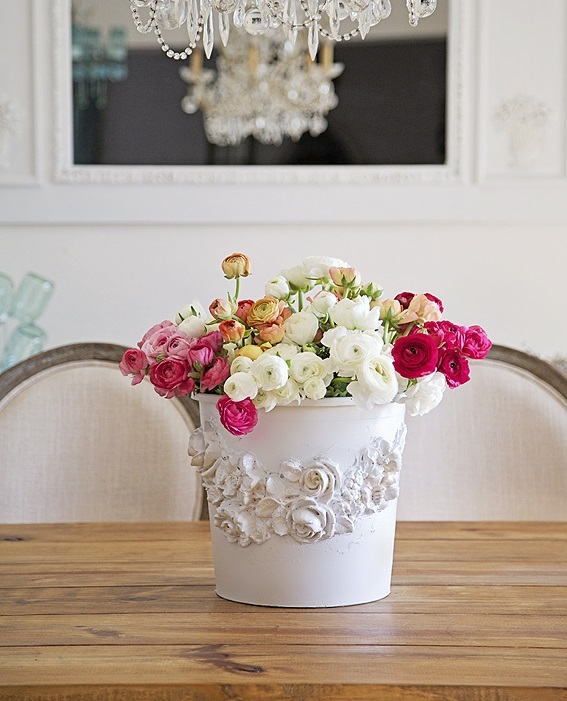 If you have bought a container of flowers for your significant other, you can make another romantic gesture by applying white paint and floral-themed decoration to the bucket. This is convenient because the bucket already includes all of those flowers' buds; therefore, why should you throw out this container just because it doesn't look nice on the outside? That's a problem that can be easily rectified. Here's a good one to get busy with well before the festive season. After you have drunk POM juice out of its distinctive-looking bottle, you could spray paint the vessel white, add some glitter and place a hat sewn from fleece material on top. 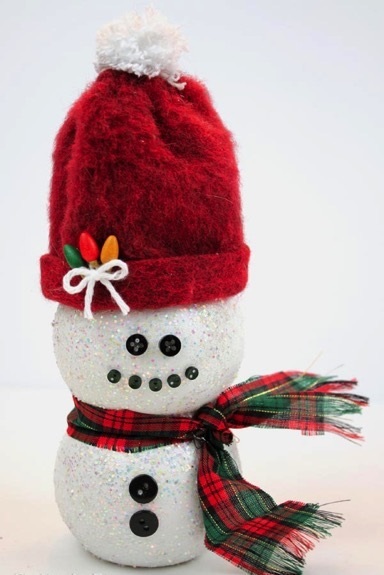 This is great for making your own little snowman. The complete tutorial is provided by TheKimSix Fix. Apparently, the bottle shape's resemblance to a squat snowman provided the inspiration behind this crafty idea. 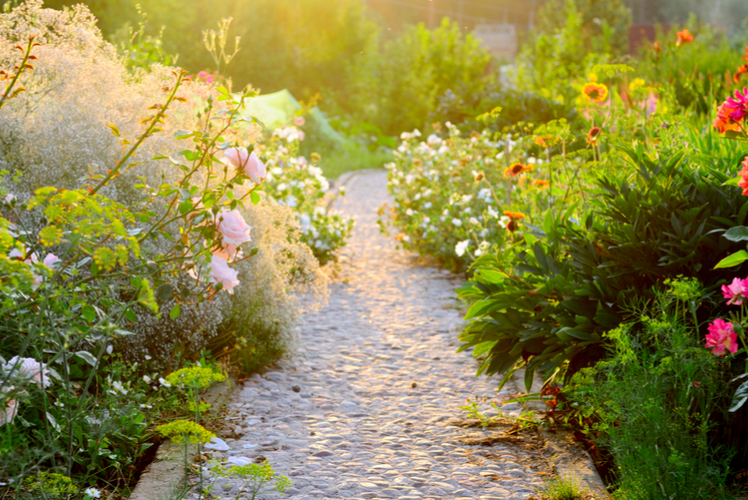 If you have an old push broom that looks past its best, you could cut off many of its bristles and then thoroughly clean them before placing them inside a specially-built wooden holder. 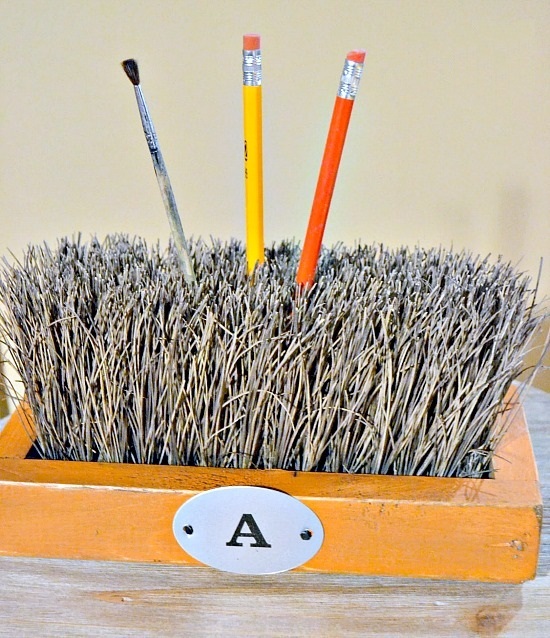 The bristles, protruding from the box's opening, can then hold pencils and paint brushes in place. 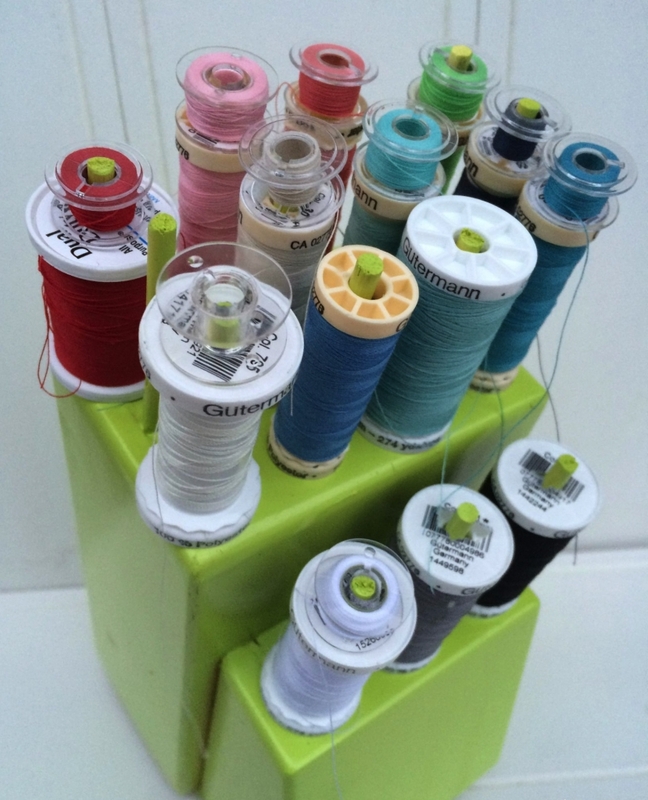 You can head to the Homeroad website for a more detailed guide to making this desk organizer. Rungs for what? Hanging throws and blankets, that is. 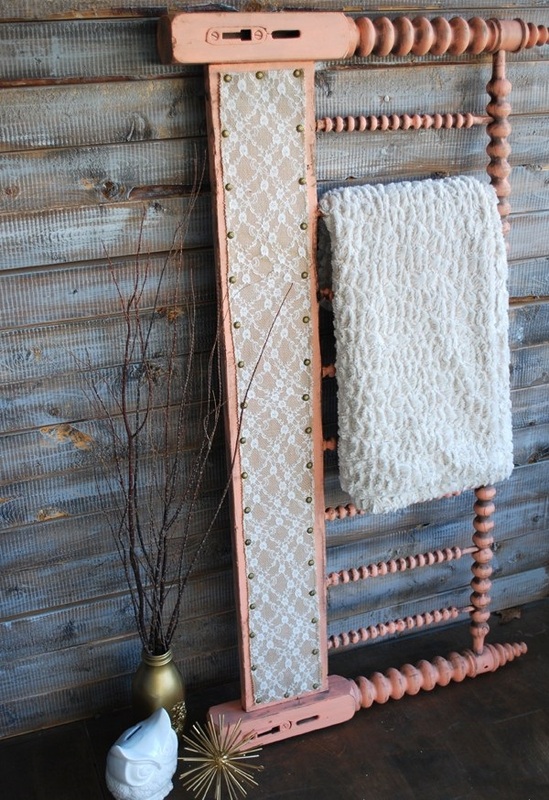 Still, if you wish, you can paint and decorate the headboard to make it appear even better-suited to its new purpose. 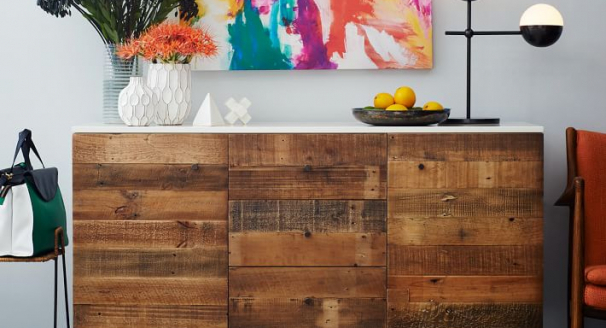 A plank of wood can seem like a very basic thing; however, it could have such visual features as notches that help to make it delightfully versatile. 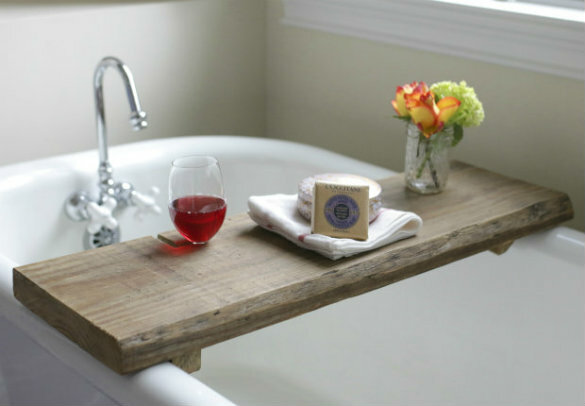 You might, for instance, be able to use a reclaimed board as a tray on which to keep a wine glass when you are soaking in the bath. 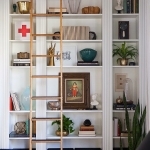 Even if you simply leave the board bare as a bathtub tray, this could provide a humble look that is naturally charming. Okay, so you invested in a big wall unit in which to store your TV, games console and large Blu-ray collection a few years ago. However, these days, you are much more preoccupied with looking after children than playing on a PlayStation. So, what should you do? One idea is, as Southern Revivals suggests, making it into a pretend kitchen unit. 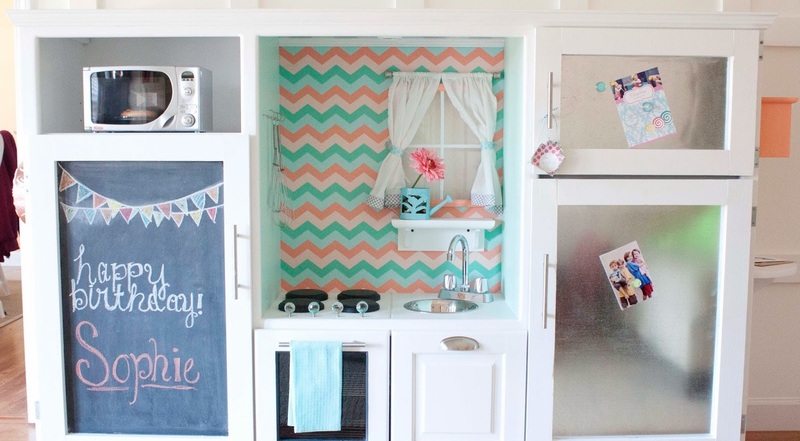 This can be much more thoughtful for your kids than buying a mass-produced unit. 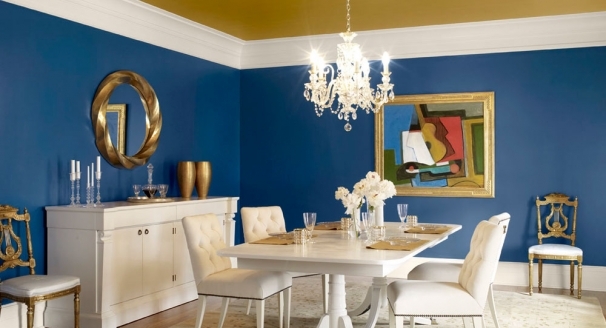 Perhaps you bought a dual-level table at a time when they were more, well, en vogue than they are now. You might now be clueless about what to do with it; however, it could be a great Lego stand. 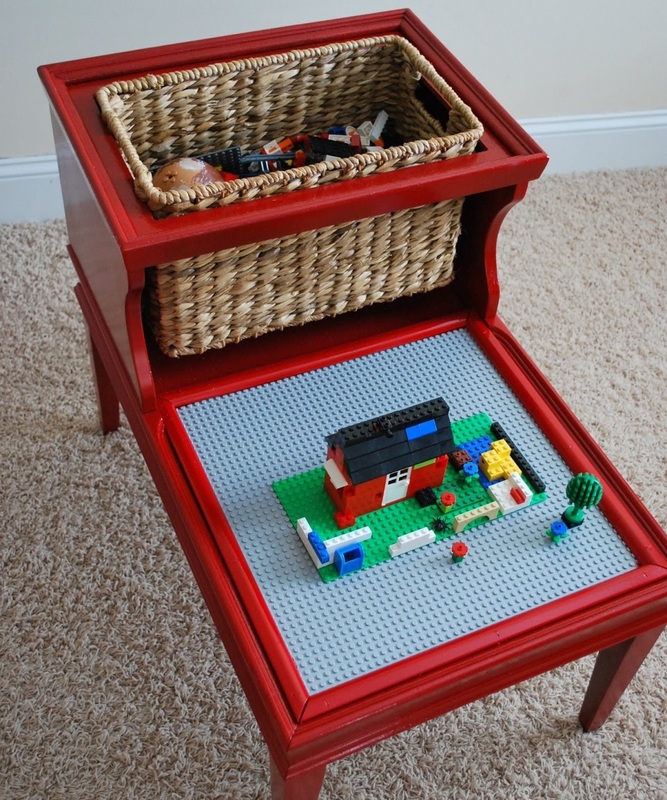 You can convert the table into this by cutting a hole in the top, painting the table, and then placing a basket in the top and a studded Lego foundation on the lower part.